Just to say how overjoyed I am that Eric Lu has won the 2018 Leeds Piano Competition. 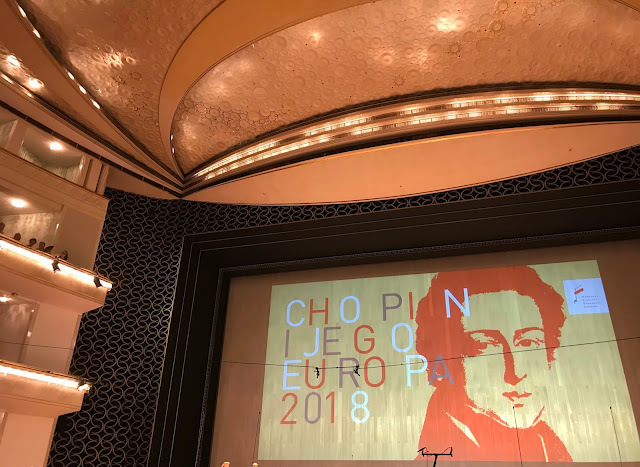 Here is my account of the most recent Eric Lu recital at The International Chopin Festival at Duszniki Zdrój in August 2018 - the oldest Chopin piano festival in the world. For such a young man Eric Lu has achieved great things which speaks volumes for his natural gifts, uncompromising attitude to work and the inherent poetry embedded within his musical appreciation. Lu was first brought to the world’s attention when he was a prizewinner at the 2015 International Chopin Competition in Warsaw at the age of 17, becoming one of the youngest laureates in the history of the prestigious competition. Subsequently he performed with famous orchestras in prestigious venues around the globe. Eric currently studies at the Curtis Institute of Music in Philadelphia with Profs. J. Biss and R. McDonald. He is also a pupil of the pianist Dang Thai Son. This Duszniki recital confirmed all my beliefs outlined in previous reviews concerning the rare musical qualities possessed by this young pianist. He opened his recital with the 4 Impromptus D. 899 (1827) by Schubert. When listening to these works it is interesting to reflect that during his lifetime Schubert was above all lauded for his glorious Lieder (an astonishing 640 of them), dance music (a passion during the Biedermeier period) and smaller piano works, the D. 899 set of Impromptus among them. These genres were considered rather insignificant in the 'grand classical canon' of the time. The works considered of fundamental significance today were not so appraised in early nineteenth century Vienna. Much has changed in public taste since Schubert's death in 1828. Interestingly, we can probably hear more of the music of Schubert now than he could himself. So many of the larger works - piano sonatas, symphonies, chamber music and operas were rather unknown except to some of his literary friends, lyric poets, the cognoscenti and 'obedient rebels'. Of course Schubert composed under the disconcerting shadow of Beethoven. Legends proliferated. In 1863 during the exhumation of both bodies from Vienna's Währing Cemetery, it was observed (rather absurdly to my mind) by a friend of Beethoven's, the Austrian physician and medical researcher Gerhard von Breuning, that "...it was extremely interesting physiologically to compare the compact thickness of Beethoven's skull and the fine almost feminine thinness of Schubert's, and to relate them, almost directly, to the character of their music." Life itself and expressive 'individuality' was difficult for these liberal cultured folk under the autocratic regime of the absolutist Klemens von Metternich who saw them as threats to his treasured status quo. Hence Nature and music (beyond incriminating language) were avenues of free expression, emblems of innocence and escape for Schubert. Domestic music-making dedicated to the composer known as Schubertiades, 'social' music, was intensely popular. He sang his own songs himself with a fine voice. Polluted Vienna, his local environment, was thankfully closely surrounded by aesthetically idealized, bucolic countryside. Here he could commune deeply with himself as we can glean from the psychological tension that erupts between his inner personal lyricism and harsh outer reality expressed within a great many of his compositions for piano. Perhaps he expresses the most intense despair in the existential song cycle Winterreise. In a letter to his brother Ferdinand in July 1824, he wrote of his "fateful recognition of a miserable reality, which I endeavour to beautify as far as is possible by my imagination [Phantasie] (thank God)"
The title Impromptu originated with the Bohemian composer Václav Tomášek and was brought to Vienna by his pupil Jan Voříšek around 1818. The term described rather easy and light characterful pieces for cultivated amateurs to perform. Schubert adopted this title for his Op.90 collection, perhaps attracted by the idea of spontaneity in composition. He may also have wished to communicate a sense of carefully structured poetic improvisation. The 'art that conceals art' if you will. These pieces are virtuoso works in difficult keys and the publishers considered them far too challenging for amateurs - hence Schubert's difficulty in getting them published. Listening to the poetic richness of these works, one is inescapably reminded of his Lieder. The extraordinary fortissimo chord that begins the first impromptu in C minor gives rise to a yearning theme pianissimo. The entire impromptu seems to emerge organically from this opening. The characteristic narrative of an emotional labile wanderer is eloquent of the consoling landscapes through which he travels. I felt Lu instinctively understood this quite apart from the radiant colour, tone and touch he brought to the piece. With this same keyboard refinement he captured the lyrical fluidity of the E-flat major impromptu, reminding me of an elegant fountain cascade at the Schönbrunn Palace at midday. The difficult third impromptu in G-flat major he rendered with superb cantabile, perfect as a true dialogue. Flashes of resentment with the nature of life being what it is, the work is broadly meditative and reflective in affectation, a magnificent Lied fading away in the gathering mist. Finally the fourth in A-flat major, again a passionately lyrical cascade like a mountain stream tumbling over boulders, a celebration surely of Nature with brief dramatic outbursts of anger in the minor key as grim reality intrudes but is then overcome. The civil servant, poet and composer Albert Stadler (1794-1884), a close friend and admirer of Schubert, described the lyricism of the composer in performance which as a partial description of Lu's playing, cannot be bettered. Schubert, Stadler observes, had "a beautiful touch, a quiet hand - [his was] nice, clear playing, full of soul and expression. He belonged to the old school of good pianists, where the fingers did not attack the poor keys like birds of prey." The next work was that great masterpiece of Western keyboard literature, the Chopin Ballade in F minor Op. 52 (1842/1843). This was an elevated and immaculate performance of this challenging work. My only observation is that it will grow naturally in maturity and depth as Lu himself grows in life experience permitting him to explore more penetratingly its sublime narrative musical fabric. After the interval the autumnal Brahms 6 Klavierstücke Op. 118 (1893). In a letter to the conductor and composer Franz Lachner he wrote (concerning the 1st Movement of the Second Symphony): 'I am, by and by, a severely melancholic person …black wings are constantly flapping above us'. These are among the last compositions by Brahms and he seems to have conceived them as a coherent whole. It is hard to overlook the presence of the spectre of death that inhabits them. The group speaks volumes to me of the transient nature of human existence, but more of a proud philosophical resignation to the inevitability of destiny than the expression of terror, despair and melancholy in the face of mysterious oblivion. The passionate outbursts of the first Intermezzo in A minor and then the fading away and decay was well handled by Lu although I felt this declamatory piece rather rushed in his phrasing and breathing which lessened the expressive power of the passion. In the second profoundly moving and sensitively played Intermezzo in A major it may have benefited from savoring just a little more the eloquent harmonic transitions of the Andante teneramente, the expressive dynamic variations and poetry, more lovingly embracing the long legato lines. This ardent work has all the rhapsodic yearning and longing of a nocturne for lost love. Lu also was also convincing in the Ballade in G minor with its vigorous rhythms and densely woven harmonies. The contrapuntal texture of the fourth piece, the Intermezzo in F minor permitted the calm to again be disturbed by passion but was followed by the fading nature of 'all passion spent'. The Chopinesque lullaby at the heart of the fifth piece, the Romanze in F major was most affectingly expressed by Lu. His refined touch, radiant tone and fine pedalling were used to great effect. The valedictory final piece of this integrated meditation on the acceptance of destiny and fate, the Intermezzo in E-flat minor, begins with the theme of the Dies Irae of the Christian requiem. The spectre of death enters and recurs in the work in various guises. Here we begin to inhabit another world far beyond this one. A strenuous, heroic yet tragic averral of the force of life briefly emerges but the terminal expression of resignation in death concludes pianissimo. To conclude Lu gave us a deeply felt Chopin Piano Sonata in B-flat minor Op. 35 (1837–1839). I consider the Grave doppio movimento was rather rushed in tempo answering the call of rather two-dimensional unbridled passion which not surprisingly so tempts young players but hides much of the heroic considered nobility of this movement. The Scherzo was exciting and well executed with extremely skillful use of the pedal as was the case throughout the sonata. The central cantabile was not sufficiently expressively considered or ardent for me, dwelling as I do dangerously and inappropriately on the fragile cusp of the sentimental in Chopin. The vital and difficult tempo a pianist selects for the Marche funèbre understandably fell just short of the immense gravity a mature pianist of deep emotional experience of death and grief can bring to this movement - Grigory Sokolov par example is unsurpassed in this. The tone of the beautifully executed central cantilena of nostalgic reminiscence was affecting and deeply musical nevertheless. The Finale. Presto although brilliantly played could perhaps have been more haunting, depending of course what fills your imagination at this point. A finely wrought, deeply musical recital by a pianist of immense natural gifts. His altruistic approach to compositions, communicating the music of immortal composers through a charisma of modesty is so rare among the aspiring young today and should be treasured. As an encore, the perfectly appropriate Mozart Rondo in A minor, K 511. Lu is a born Mozartian with extraordinary refinement, elegance of taste, glowing tone and poetic restraint. How I would love to hear Lu in Mozart piano concerti and sonatas. Just to say how overjoyed I am that Eric Lu has won the 2018 Leeds Piano Competition. Wonderful that all my predictions (and the remarkable musical foresight of the Duszniki Artistic Director, pianist Professor Piotr Paleczny) have come true. The Beethoven Concerto was magnificent...one of the finest I have heard and which earned him in addition the Terence Judd Orchestral Award. 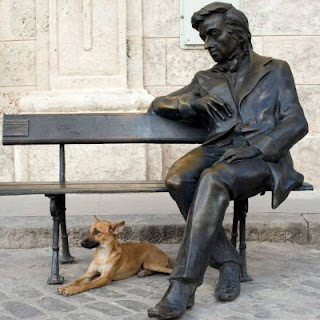 As George Sand once said of Chopin 'He lives in a different world to the rest of us.' Here we moved to a different level of musicianship altogether and far, far closer to the authentic intentions of Chopin at least as I conceive them from my own studies over almost a lifetime. The Mazurka in A minor Op. 17 No: 4 contained the most intense nostalgia for a lost Poland in the heart and spirit of Chopin. This Mazurka is an unusual work and it is telling that Lu chose it to play in the competition - hardly a display piece. The heart-rending interpretation of the Nocturne in B Major Op. 62 No.1 moved me similarly with its extraordinary sensibility and sense of the Chopin aesthetic of restraint and lyrical poetry. Lu was a true 'Ariel' at the instrument. And such poetry, refinement and deep sensibility also in the Andante Spianato and when required a sparkling Grande Polonaise Brillante Op.22 full of articulated clarity, bravura and style brilliante in the glistering manner of Hummel. The Barcarolle contained miraculously controlled rubato, the impressionistic feeling of a gondola rocking on the water of the lagoon, a sense of highly labile romance. This would have been the sort of interpretation Debussy would have loved, this being one of his most dearly loved Chopin pieces. The Waltz an elegant glittering confection in the priceless Faberge sense. The masculine and feminine sides of Chopin nature beautifully poised and balanced. I heard this pianist first at the Duszniki Zdrój Festival in August this year. He performed the Op.28 Preludes after being given only half a recital shared with another pianist. 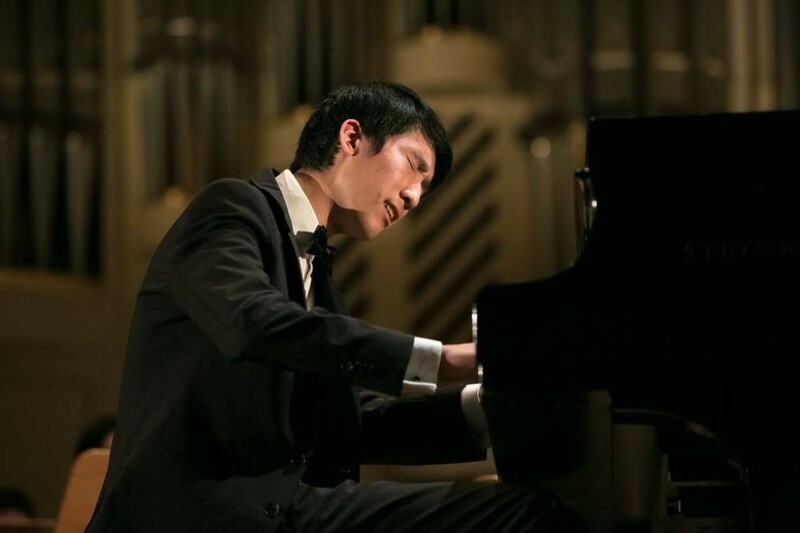 This remarkably young pianist of only 17 had just come from the US after winning the 1st Prize in the US National Chopin Piano Competition in Miami. He was born in the US to Chinese and Taiwanese parents. It is held every five years and the rules reflect closely the regulations and requirements of the International Chopin Piano Competition in Warsaw which will take place in October 2015. The winner is automatically accepted into the Warsaw Competition. We were full of anticipation which was more than realized. He chose to perform the great and demanding cycle of Chopin Preludes Op.28. I could not possibly give an account of each prelude nor would it be desirable in review of this nature. During the Duszniki Zdrój International Chopin Festival there is always a 'Duszniki Moment' that is unique. One can never anticipate when it might occur or what nature it might take, be it pianistic, scandalous or highly amusing. But it will occur...this was the moment for me but will there be another? First of all the tone Eric Lu produced was luminous, the articulation spellbinding and exciting, the legato and bel canto moving. Notes were articulated as flowing water or as 'strings of pearls'. Even if this phrase smacks of cliché, this is what he did - every note of the score fully articulated. The reminiscence of a Horowitz sound if not a Horowitz temperament seemed inescapable. One could hear a pin drop in the dworek. The playing was breathtaking and really of the highest order of finger dexterity. In the background I could hear the refined sound world produced by one of his teachers, Dan Thai Son (you know my opinion of this great artist). It would have been impossible for Chopin to have ever considered performing this complete radical cycle in his musical and cultural ambiance (not least because of the brevity of many of the pieces). Although it is now well established as a complete work, a masterpiece of integrated ‘fragments’ (in the nineteenth century sense of that aesthetic term). Each can of course stand on its own as a perfect miniature landscape of feeling and tonal climate but ‘Why Preludes? Preludes to what?’ as André Gide asked. I think it unnecessary and superfluous to actually answer this question. We must turn to Chopin’s love of Bach to at least partially understand them (he took an edition of the ‘48’ to Mallorca where he completed the Preludes). I think it was Anton Rubinstein who first performed them as a cycle but I stand to be corrected on this. The Preludes were written in a period of great emotional upheaval for Chopin. Lu will definitely proceed to Stage III and will play the Preludes and three more Mazurkas, this is just a taster of what we can expect. However, do poets win piano competitions in 2015? He will only be defeated by a lack of maturity (which he can scarcely avoid at his age) and experience playing more extended works. Some members of the jury may prefer a modern, declamatory Chopin aesthetic based not on poetry and sensibility but the power of an exaggerated dynamic with fierce tempi and crystal articulation. One reservation I have which has nothing to do with his playing is that he has avoided programming a Sonata - for pianists a large and musically demanding Chopin form which may count against him with some members of the jury. One might ask why such an inappropriate choice was given in the first place? Naturally in light on my foregoing remarks you would realize I had high expectations of this concerto stage. They were certainly realized and even more opened up new avenues of thought for me. I must confess to not being happy with the lack of what I would call 'committed energy' on the part of this orchestra and the conductor. I feel the opening could be far more rhythmically noble, even Beethovenian in symphonic strength as the powerful presence of the timpani would indicate. The entrance of the lyrical soaring main themes on violins would then have far more of an impact. The Allegro maestoso has the word maestoso qualifying the direction Allegro for a reason. It is a direction we often encounter in the Chopin polonaises - a traditional expression of distinct Polishness that contains within the original dance the martial qualities of nobility, grace, resistance, élan, the glitter of the sabre, the proud stroking of the Sarmartian moustache valiantly facing the enemy. Where was this? Once again my benchmark for this concerto with its magical symbiosis between orchestra and soloist is the 1967 DGG recording by Marta Argerich and the London Symphony Orchestra under Claudio Abbado. This only two years after she had won the Chopin Competition in Warsaw. Lu introduced the main themes on the piano with intense lyricism and bel canto. His understanding of the Chopin melodic genius is deep indeed and his execution of the decorative variations on these themes and phrasing is musical and superb. He has so much to say about this composer. There is such coherence and continuity in the first movement I was reminded of the Vistula River in flood - the surface broad and unflustered but the power beneath deep and powerful. Concerning the Romance. Larghetto, in a letter to his close friend Tytus Woyciechowski Chopin wrote of this movement‘It is a kind of meditation on the beautiful springtime, but to moonlight’. Lu understood this Mozartian lyrical refinement and his cantabile in the statement of this melancholic love song contained within it an atmosphere of almost divine simplicity. Moments of sadness and introspection were overcome as if the sun emerged tentatively from behind clouds in gestures of the purest poetry. In a characteristically oblique reference, Chopin had once written to Tytus of Konstancja Gładkowska ‘Involuntarily, something has entered my head through my eyes and I like to caress it’. I felt Chopin's imagined gentle caress of Konstancja in Lu's playing. The Rondo.Vivace follows attacca, meaning without pause and suddenly we are launched from our romantic reverie into the youthful dance world of the fun-loving youthful Chopin, that of the energetic krakowiak. As I have mentioned before the actual sound that Lu extracted from the instrument in this wonderful styl brillant movement is really quite breathtaking. He reminds me on occasion of the quality of his sound of the recordings of the giants of late Romantic pianism such as Josef Lhévinne, Moritz Rosenthal, Josef Hofman, Vladimir Horowitz and Leopold Godowsky. He has the similar remarkable Fingerfertigkeit (finger dexterity) of the late nineteenth century. These pianists possessed exquisite beauty of tone with absolute delicacy and evenness of touch which scarcely any pianist today achieves with the same consistency. I feel in many ways Lu possesses this and I dearly hope with musical maturity and experience he retains and develops these qualities. Such talents are a gift from God to your inner ear. You can develop this inborn gift of mind/hand co-ordination and combine it with a concern to listen with concentration to the sound you are making at the instrument. This final movement was a spectacular display of virtuosity and sheer a sonority of crystalline clarity. An electrifying experience for me in the Warsaw Filharmonia. The concerto was premiered in Warsaw three weeks before Chopin left Poland forever. I speak often in this journal of historical context. Surprisingly, even incomprehensibly for us, there was an intermezzo after the first movement of the concerto ('thunderous applause ' Chopin wrote) when a singer, one Anna Wołkow, sang an aria by Soliva (a nineteenth century Swiss-Italian composer of opera, chamber music, and sacred choral works appropriately from a family of Swiss chocolatiers). Only then was Chopin able to play the final two movements. A second singer after the conclusion, the very source of his romantic yearning, was Konstancja Gładkowska herself.